Here’s a bit of head-scratching news for you. 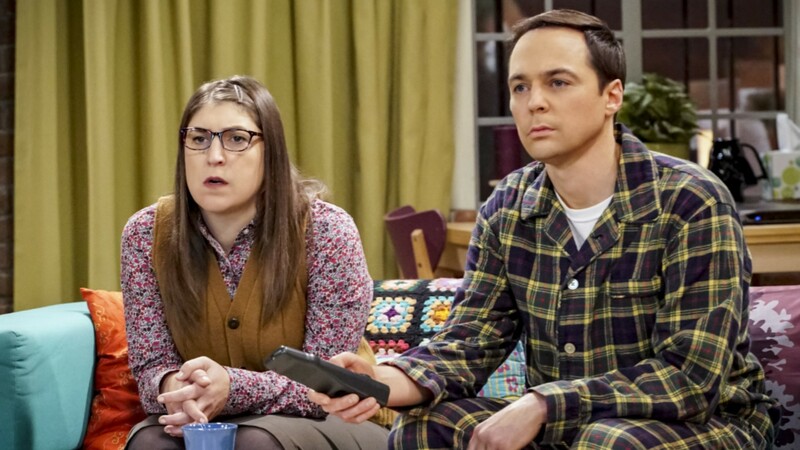 It was revealed on Thursday’s episode of The Ellen DeGeneres Show that The Big Bang Theory’s Mayim Bialik had apparently never heard of the show before she was cast. Say what? While Bialik’s reveal about her ignorance of TBBT‘s massive success and place in the zeitgeist before she entered the scene is pretty amusing (seriously, how had she not heard about this show before she was cast?! ), the rest of the cast interview with host Ellen DeGeneres was pretty sentimental and sobering. At one point, Bialik’s costar, Kaley Cuoco, opened up about how emotional it’s been filming the final episodes of the series. “We’ve been getting super emotional. We were doing a scene before the holiday, and we were just blocking, and we were the only two in it, and just kind of rehearsing the scene and out of nowhere I just started bawling. And the crew, all the camera guys and everyone, came out. They’re like, ‘We’re so glad you cried because we’ve been waiting to cry.’ And then they all gave us this huge group hug and we just all cried for, like, 10 minutes,” she told DeGeneres. With the series set to wrap in the spring, rumors of a second spinoff circulating and no clear vision of how exactly this wild ride will wrap up, TBBT fans should buckle up for an emotional roller-coaster ride to the very end. And if it gets too hard to handle, just think of Bialik’s truly great anecdote and laugh a little.